Córdoba sits in Seville's shadow. 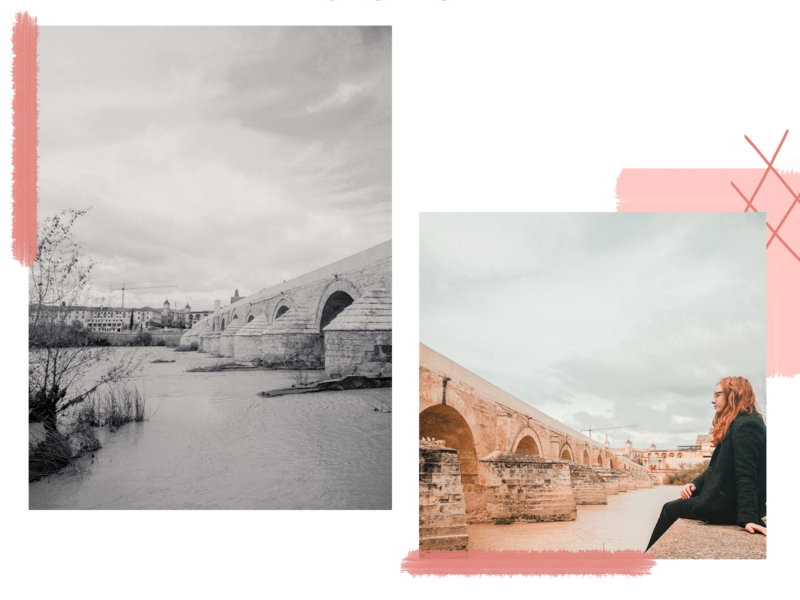 They are both quaint Andalusian cities with Roman roots and Moorish architecture, and are just a one and a half hour train journey away from each other. 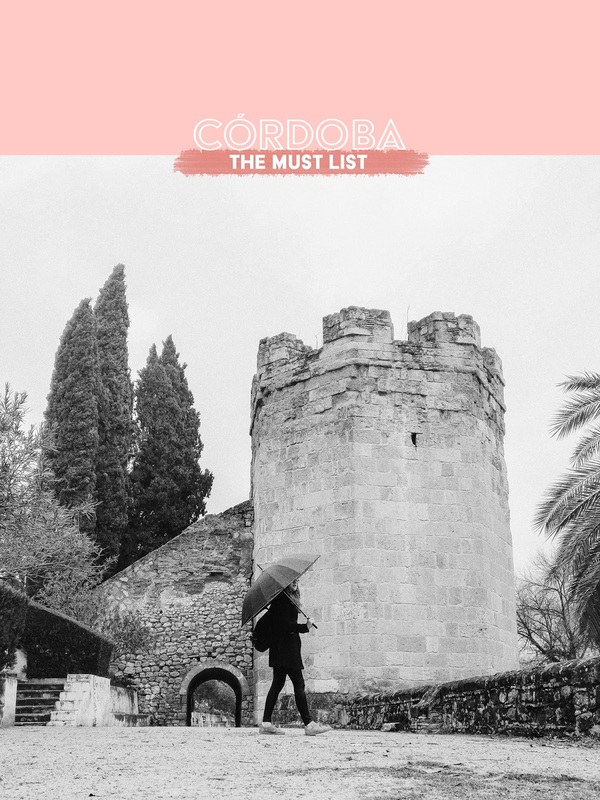 But Seville is far better known, and for that reason Córdoba is often forgotten. I've gone on about Seville plenty, so today I thought I'd shine a little light on the lovely city of Córdoba instead. That's the Roman Bridge of Cordoba, to those of us not fluent in Spanish (that includes me, unfortunately)! It was originally built in the 1st century, but was later restored in the Medieval period, and today it looks much like it did then. If you're lucky, your walk over the bridge will be to the tune of a local musician, an accordionist was out busking when I crossed over. From the bridge you can watch the Guadalquivir River, but for the best view you'll want to walk to the side of the Calahorra Tower and go down to the park by the riverbank. From here you'll be able to count the bridge's 16 arches that lead to the Old Town. The perfect spot for watching the world go by. 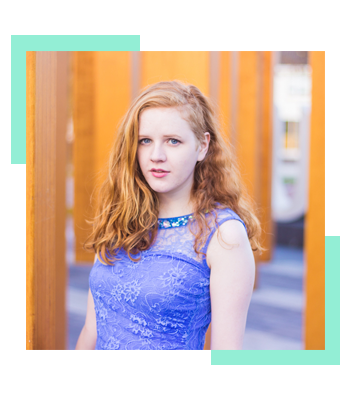 Whenever I explore a new place on my own, I love to spend some of my time (perhaps too much of it!) in a good coffee shop or eatery, plotting my next move. Tripadvisor led me to Salon De Té, and what a find it was! 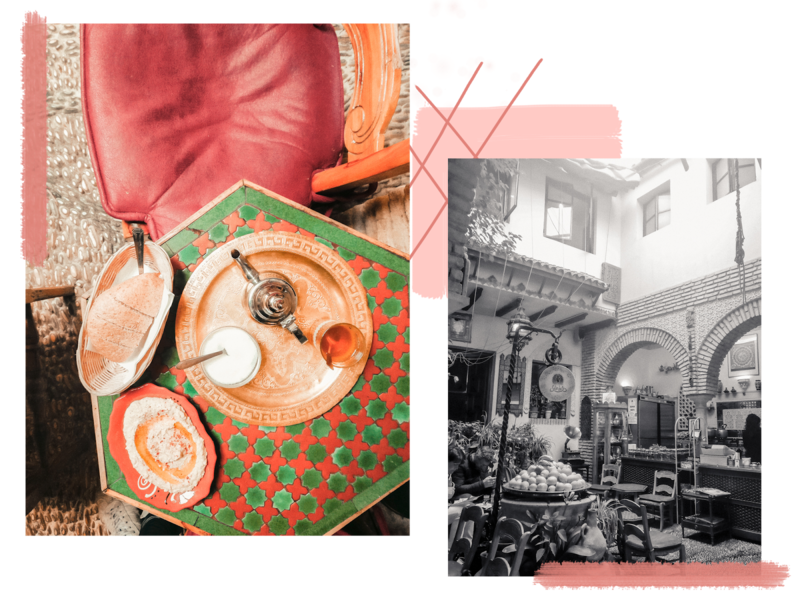 With its intricate Moroccan decor and architecture, and a long list of exotic teas, it felt more like Casablanca than Córdoba. Córdoba is known for it's beautiful patios lined with brightly-coloured potted plants, many of which open to the public during the Patios Festival in May. 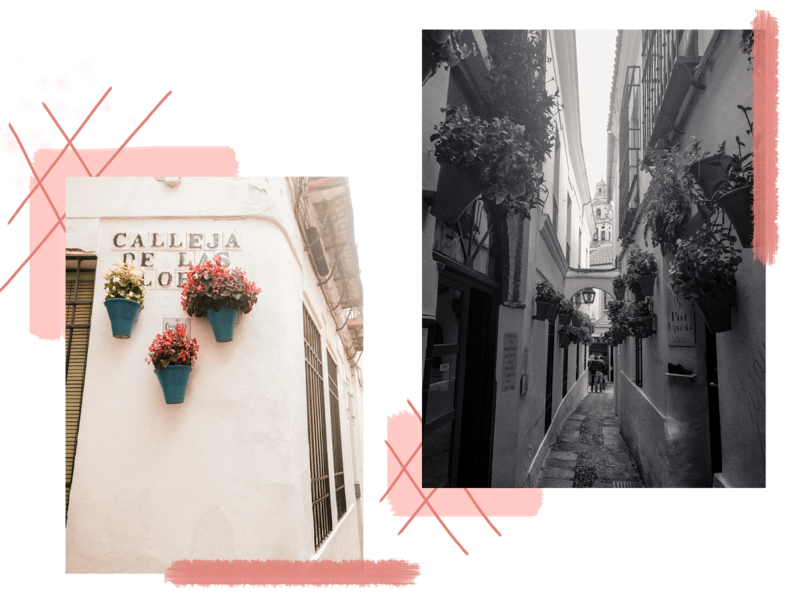 If you don't happen to be there for the festival, you can still get a taste by visiting the Calleja de Flores. This narrow alleyway is decorated with flowers sitting in blue pots and leads to a small water feature and a few touristy trinket shops. It's worth having a wander and getting a few snaps while you're at it! So that's The Must List for Córdoba. What do you make of this new format? I thought it'd be fun to try something different from my usual What To Do With One Day In... posts. That's all for now, catch me on Instagram or in the next post!